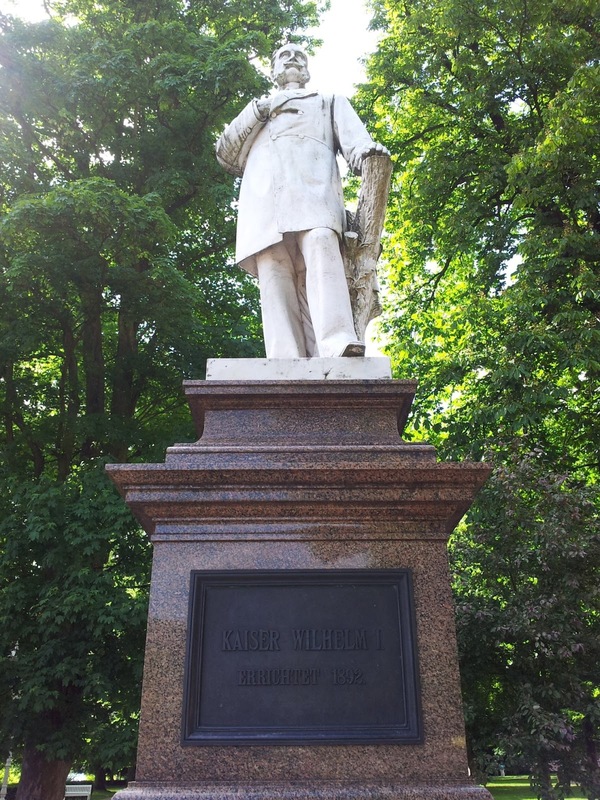 On Sunday 27 May 2012, I visited with my family the town of Bad Ems in the state of Rhineland-Palatinate, which is known for the Ems Dispatch (1870) and as a bathing resort on the river Lahn. The Ems Dispatch (French: Dépêche d'Ems, German: Emser Depesche), sometimes called the Ems Telegram, caused France to declare the Franco-Prussian War in July 1870. The actual dispatch was an internal message from the Prussian King's vacationing site to Bismarck in Berlin, reporting demands made by the French ambassador; it was Bismarck's released statement to the press that became known as Ems Dispatch. The name referred to Bad Ems, a resort spa east of Koblenz on the Lahn river, then situated in Hesse-Nassau, a new possession of Prussia. (c) Wikipedia. 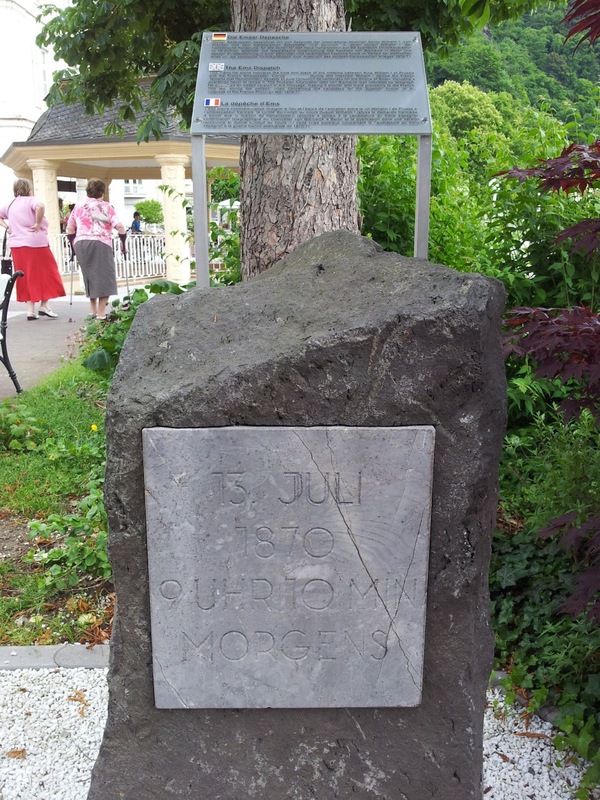 This memorial stone indicates the time and place of the meeting between King William I of Prussia and the French ambassador, Count Benedetti. Statue of Emperor William I of Germany.